Properties in Monroe County average 4.7 out of 5 stars. Property 3: Private & Peaceful Cottage Feel, Discounted Rate 25$ off 2019 nightly rates! Property 7: Cute, Clean, Cozy & close to all! Discounted rates $25 off 2019 nightly rate ! Tropical Retreat with GREAT RATES!! Private Beach/Pool! Book Now and Save! Property 8: Tropical Retreat with GREAT RATES!! Private Beach/Pool! Book Now and Save! Property 13: Tropical Private Beach-Great Location-Clean-No Stairs-Heated Pool-Wifi-LOADED!!! OCEANFRONT END UNIT, Pool, Free WiFi, Panoramic Ocean Views! Property 15: OCEANFRONT END UNIT, Pool, Free WiFi, Panoramic Ocean Views! Property 16: NEW LISTING! Stunning Views w/ Private Boat Slip. Newly Refreshed. Clean! Property 22: Quiet, Quaint, and Conveniently Located! Property 24: 1st FL, sandy private beach...heated pool... no stairs... palm trees & more! Property 26: Dog-friendly studio within walking distance to Duval Street! Property 27: Rent a Piece of Paradise, Best Location on the Island! This Oceanfront Resort HAS IT ALL!! Property 30: This Oceanfront Resort HAS IT ALL!! Property 37: Incredible View of Bay & Sunsets, Boat Slip Included! Property 38: Dog-friendly beach suite w/ shared hot tubs, kitchenette, patio space, and more! Property 42: Beautiful condo with a deck/patio & shared pool - walk to beaches, Duval & more! P84 - Charming 2 bedroom 2 bath single family home on the Gulf side with quick access. 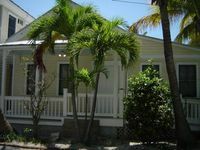 Property 43: P84 - Charming 2 bedroom 2 bath single family home on the Gulf side with quick access. Property 45: Ocean View SUITE in the heart of the KEYS , STAY LONGER, SAVE MORE!! Gorgeous 2 bedroom ocean-view condo with BOAT SLIP included! Property 46: Gorgeous 2 bedroom ocean-view condo with BOAT SLIP included! Yes, it's small but I think that's very clear from the pics and description. Unfortunately, there was construction going on and the noise was bothersome. Other than that, it was great.